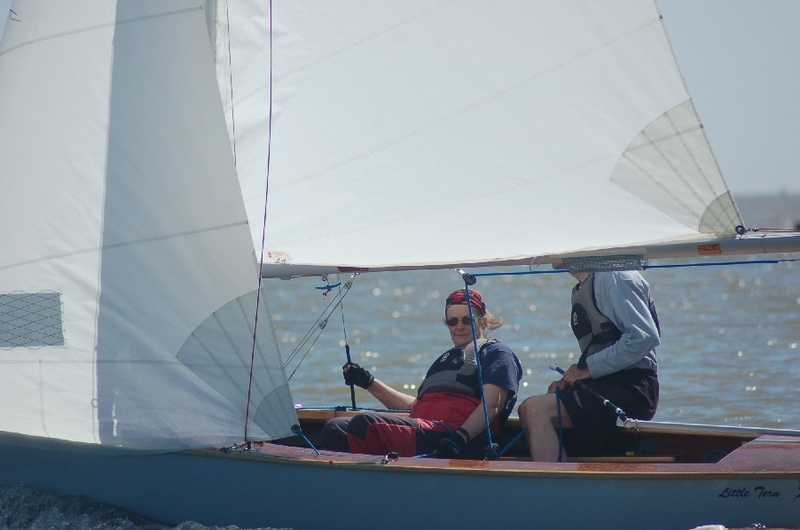 On Saturday 12th June 16 GP 14 sailing dinghies gathered at Tollesbury Sailing Club for the fourth round of the London and SE travellers’ series. After tea and bacon rolls to fortify the visitors, many of whom had endured the M25 etc, the boats launched from the public hard. 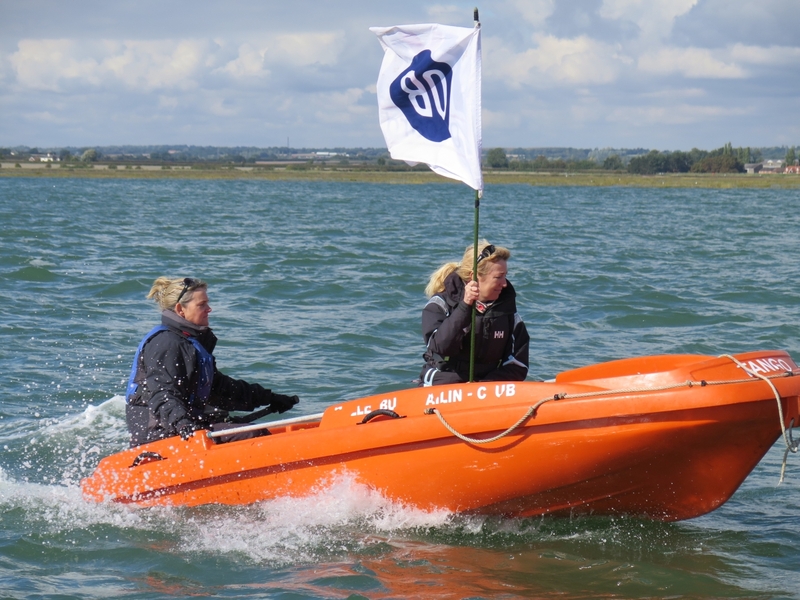 Conditions were near perfect with a 17 mph wind forecast, however, gusts led to some exciting moments and the very high tide ,which quickly covered the marsh ,did make navigation difficult. Nearly all the visitors came from inland clubs and tidal conditions offer a different experience and hopefully some useful experience for the forthcoming GP 14 Championship at Looe! 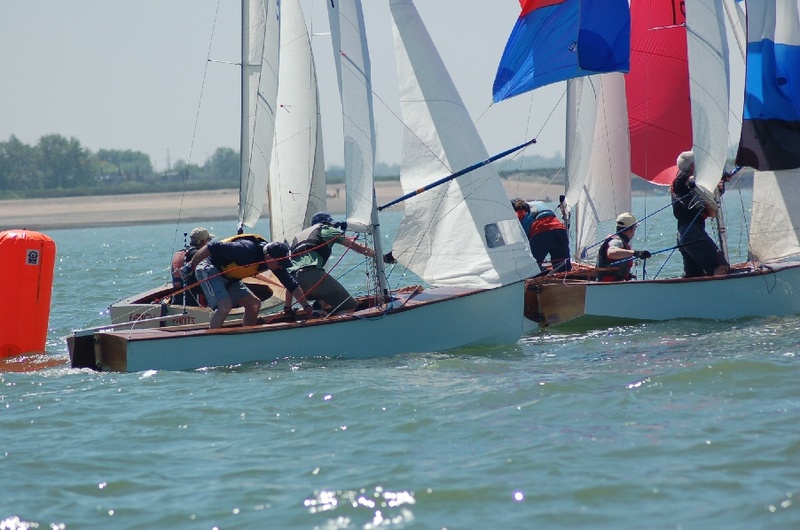 Race 1 got underway with two successive upwind legs, A number of boats rounded the first mark in close order but shifts and gusts in the second section up Bohun’s creek resulted in some changes with Ward and Whitehill breaking clear. 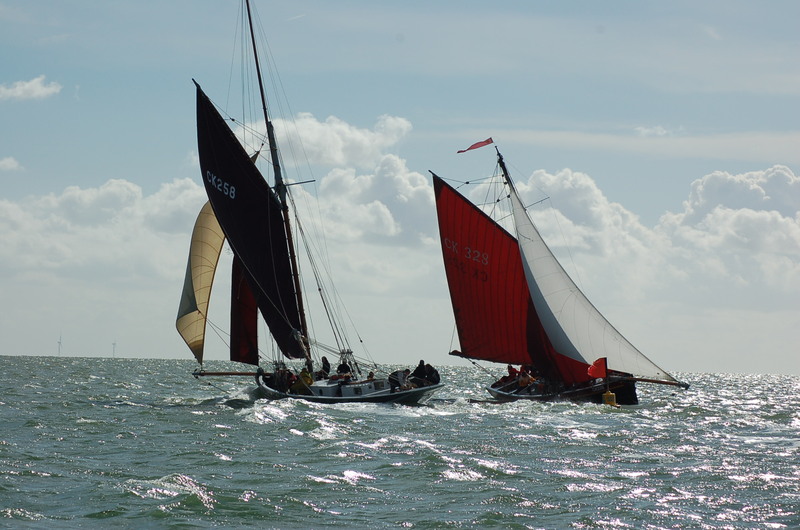 Once round the second mark there were some capsizes as gusts caught boats while crews were trying to hoist their spinnakers. 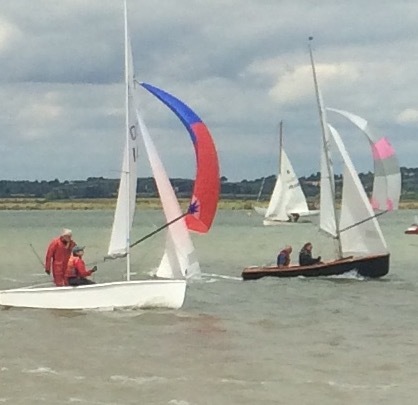 Walton and Barry followed by Lord and Rose managed eventually to take Second and third. 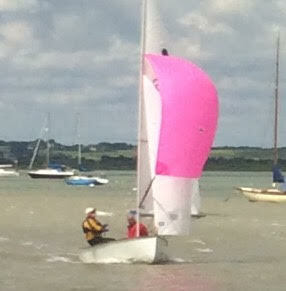 Race 2 involved a long reach out towards the entrance to the Tollesbury fleets and the River Blackwater. The lead boat choose to use the South Channel, while some locals chose the North Channel or the channel between the Cob Islands. When the boats converged local sailors Rogers and Lynn had a small lead that they held for the rest of the race followed Coyne and Szymon and Walton and Barry. 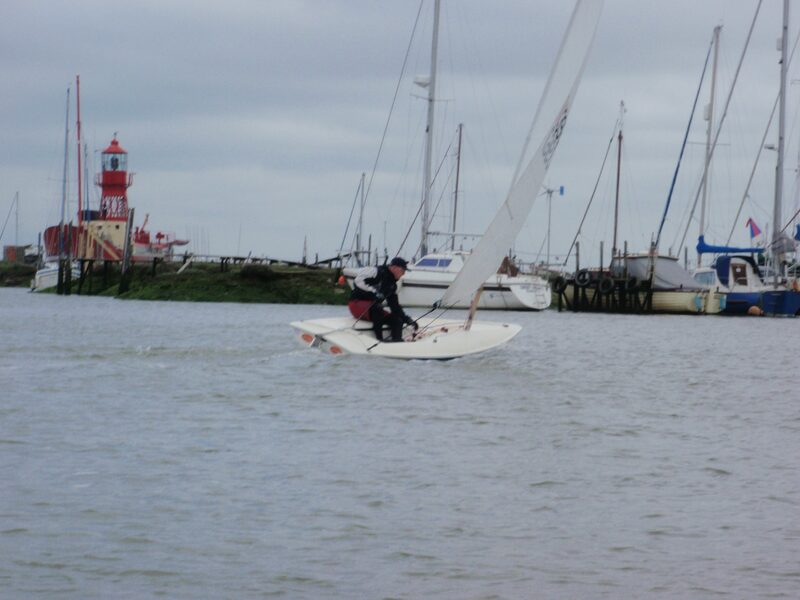 Race 3 was completed on a falling tide, the same beat was followed by 2 fast reaching legs, Maciej and Joanna used their spinnaker to very good effect and took and held a good lead, others opted not to risk the hoist thinking reach was too close. The very consistent Ward and Whitehill followed by Walton and Berry again impressive in the gusts took second and third. The longest beat of the day up Woodrolfe creek took the boats back to the hard for a well earned BBQ and some excellent cakes provided by Val and Clare at the club. 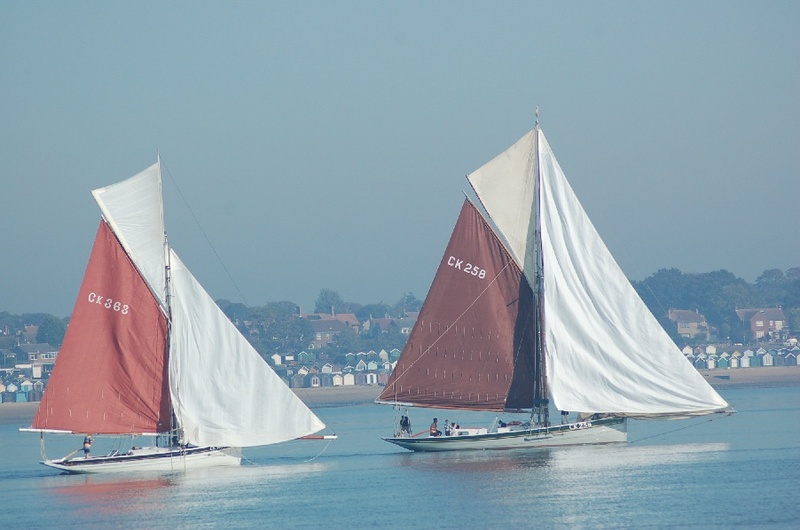 TSC very much appreciated the support of all the visitors, we are in the process of rebuilding our GP14 fleet with several new teams sailing here this season and the time on the water and social activity afterwards is a real boost to our continuing success. 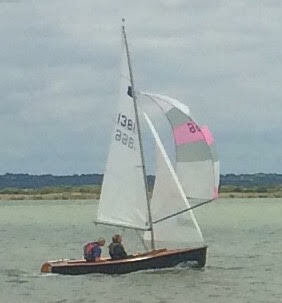 James Ward thanked the club and OOD Phil Rayner on behalf of the visiting boats. Full results are available for download.